One day you will be old enough to vote for president. Your vote counts! 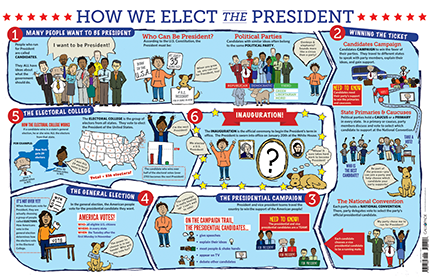 Learn about the complex system America uses to elect our President. While you’re here, learn about the voting process, get to know the candidates, and test your knowledge. Voting is one of the most important responsibilities you will have. 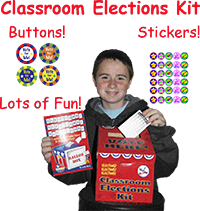 Learn about the election process today!